2016 Puppies are all at new homes. Please take a few moments to read our entire website. Our testimonial page is filled with comments and photos from owners on our dogs, and in dealing with us. Our mission is simple: “Great dogs belong with great people”. We breed only the very best of the best and… we are not a puppy mill. 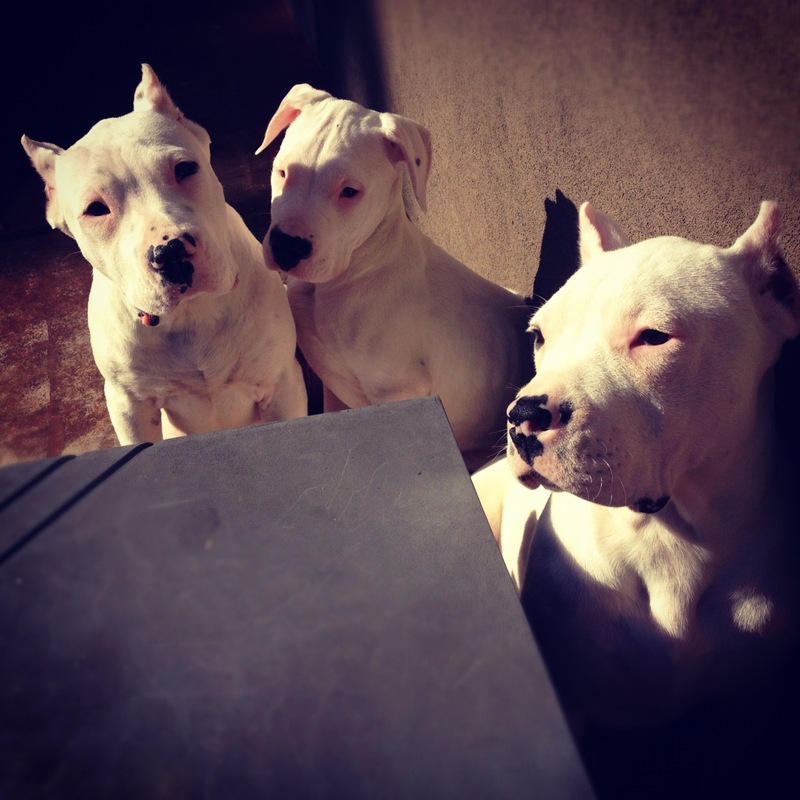 With that said, Dogo’s are a rare breed and so are the owners. This dog requires a home willing to give it time and energy. Of course, love and kindness go without saying. All of our breeding dogs are tested and hunted. They are proven to be intelligent, Loyal and protective. Dogo’s think for themselves. They don’t need training to be protective of your family or property. Currently “Puma Hawgstein of Schaffer Ridge is our leading Stud We also have Ba`Zooka the son of world renown Morocho. Both are direct imports from Cordoba. All our Dogo’s are Micro-chipped and registered at Schaffer Ridge Dogo Kennel. Ears are cropped for hunting stock only (or by request), a complete health certificate including Diagnostic Pathology testing, and current vaccination will be provided by our local veterinarian staff. Our basic companion puppy price starts at $3,200.00 USD and Champion hunters at $4,200.00 and up. We don’t negotiate prices nor, the quality or our dogs. Please fill out our PRE-SCREEN APPLICATION in order to be considered as a potential owner. All applicants will be thoroughly interviewed the process takes about a week. To make this as simple as possible please only seriously interested candidates should apply. You may contact us anytime we are happy to discuss our dogs with you. https://schafferridgedogokennel.com/wp-content/uploads/2019/01/camp-schaffer-dogo-logo.png 0 0 admin https://schafferridgedogokennel.com/wp-content/uploads/2019/01/camp-schaffer-dogo-logo.png admin2016-04-04 17:03:292016-04-04 17:03:292016 Puppies are all at new homes.